iFinance 4.5.1 – Comprehensively manage your personal finances. Next story SILKYPIX Developer Studio Pro 8.0.27.0 – RAW photo correction. Previous story iBoostUp Premium 6.5 – Optimize your Mac, fix performance and errors. GrandTotal 4.2.7 – Create invoices and estimates. MoneyWiz 2.0.5 – Personal finance solution. 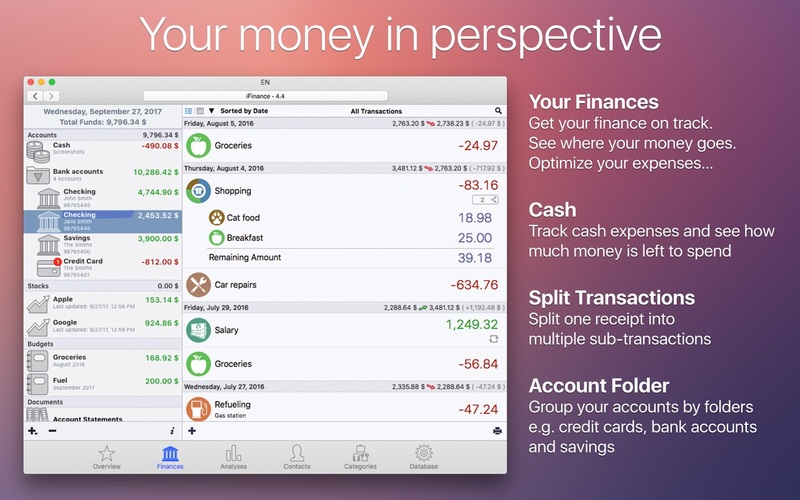 iFinance 4.4.2 – Comprehensively manage your personal finances.